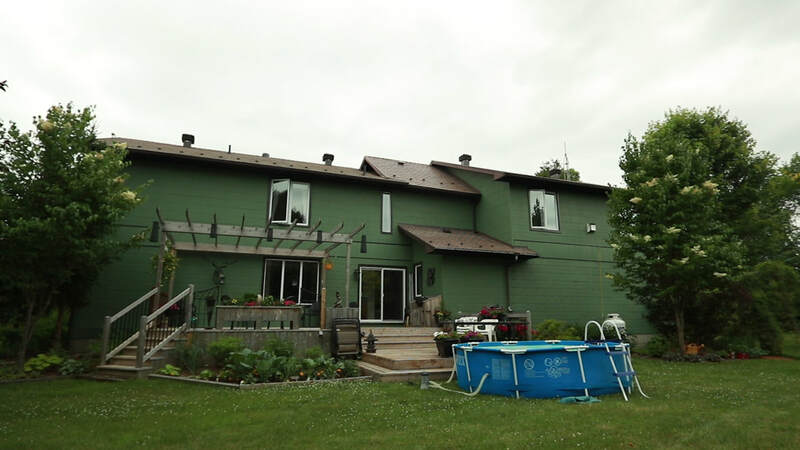 Our 3,500 ft2 home in Ottawa was built in 1984. When we purchased in 2006, we dramatically upgraded insulation levels and implemented basic measures such as insulating basement headers, adding water restrictors & low-flow toilets, converting to CFL bulbs (we now install LED lights to further reduce power consumption and to allow use of 12V DC supply) , adding set-back timers & motion sensors, sealing walls against air leakage, installing destratification fans on ceilings, adding numerous rain barrels & planting dozens of trees, covering ashpalt shingles with an Energy Star metal roof, and upgrading to Energy Star for all appliances & windows (our last round involved triple-pane glass with double low-E coating, filled with Krypton gas). We installed a heat recovery ventilator and replaced the propane furnace with a geothermal ground loop; this final decision automatically qualified our house as a Net Zero building . Inside, we refurbished in compliance with LEED guidelines by recycling most original building materials and installing FSC-certified hardwood flooring. Our eco-sin was to import granite from Brazil for the kitchen countertops. 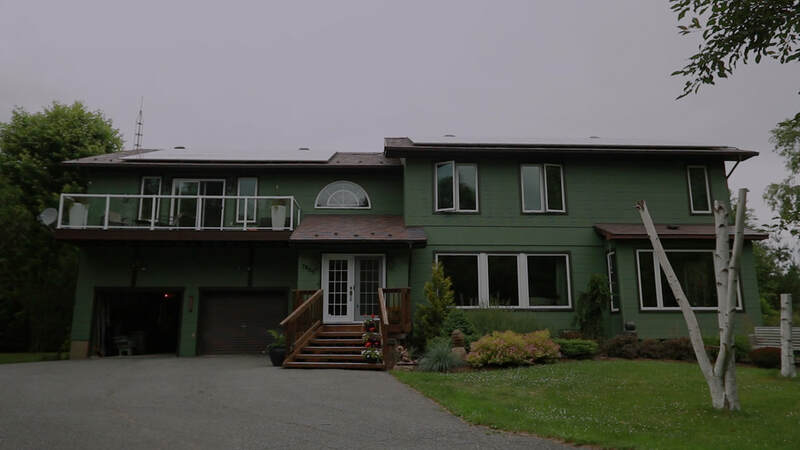 This investment boosted our EnerGuide for Houses efficiency rating to 90 which makes our home one of the top energy-efficient private retrofits in Canada despite its quarter-century age. NRCan reports that 17 homes have been rated higher than ours, but their age is unknown. For the 4.8 million households in ON, each square foot consumes 21.2 kWh every year for space heating, water heating, appliances, lights & space cooling (total combined electric AND thermal ). 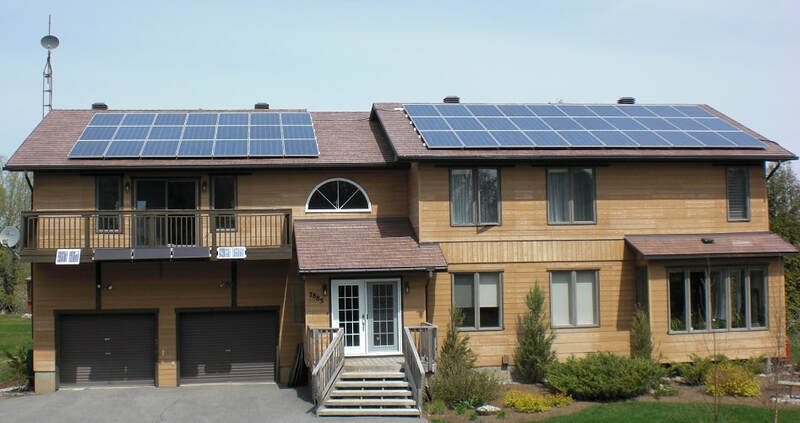 In 2012, my green home was consuming 4.8 kWh per ft2 per year ... 75% lower than the provincial average . Because the renewable energy from a NetZero heat pump is a dispatchable source of energy, 90% of our total power consumption is outside of the peak TOU period when we still need to power our fridge, computer, sump, etc. For GHG emissions, the 13.4 million households in CA have total floorspace of 1,816 million m2 and emit 68.4 Mt of carbon each year. The average emission per household is 5.1 t (3.5 t for every 1,000 ft2 of floorspace) . At 3,500 ft2, my-green-home should emit 12.2 t for combined electric & thermal, but it emits 1.6 t ... 83% lower than average for homes of this size, and our emissions will continue to drop as a result of this latest round of energy investment. Not only does my-green-home show that it IS possible to take personal action that makes a real difference for our future, but our energy expenses have declined dramatically and will continue to drop under time-of-use metering (our geothermal is programmed to avoid operation during peak periods). During a cold winter day, 90% of our lower energy consumption is off peak, which benefits the electric utility in terms of load levelling. Our home is ready for the next ice storm or grid blackout, we have increased occupant comfort and safety, and we have increased the equity in my green home.